Art Deco, sometimes referred to as Deco is a style that first appeared in France just before World War 1. 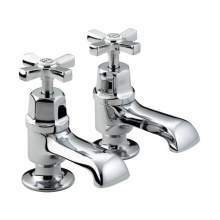 The Art Deco influence can be seen in many items, including the design of buildings, furniture, fashion , cars and everyday items such as bathroom sanitaryware and clearly the range of taps from Bristan. 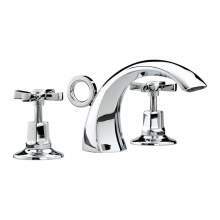 The comprehensive range of bathroom taps and fittings from Bristan suits almost any style and of course the Art Deco range is the perfect choice when you are looking to create a design classic from the Art Deco Era! 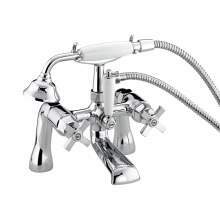 The range includes individual pillar taps for both the basin or bath, a basin mixer, a super stylish 3 hole mixer last but no means least, a bath shower mixer. 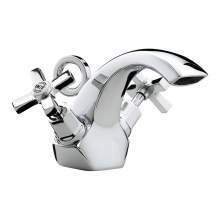 All the Art Deco range have the crosshead control style which makes control of the water, simple, easy and hassle free. 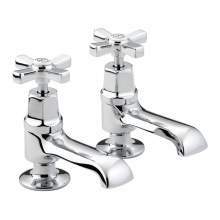 The Bristan Deco collection of taps are all available in a popular, bright chrome finish. All the products are designed to work on a low pressure system and are therefore ideal for customers with a low pressure system or those properties such as Bungalows or Apartments. Dont worry if you have a high pressure system such as a Mega-Flow or Combi-Boiler - The Deco range will work perfectly up to a maximum pressure of 8bar on most products As always, Deco products carry a 5 year manufacturers guarantee and give complete peace of mind.